Are you someone who is just beginning off as a student of programming or are you a software engineer for a well-acclaimed IT firm or are you a budding entrepreneur who is trying to shape something that’s revolutionary in the field of coding? Regardless of what you are, a laptop is the foremost gadget that you would need for transforming your dreams into reality. It’s not an easy task to buy the best laptop for programming. There are indeed lots of features that you need to check before buying a laptop, especially if you’re a coder. Here is a one-stop guide to purchase the best laptop for a programmer or coder. Know the best laptops that are tailored to meet your needs. 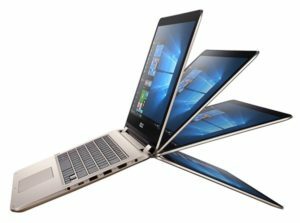 The VivoBook model from ASUS is probably the best option in the list when it comes to the most appropriate laptops for programmers, that too with a tight budget. This is probably the cheapest in the entire list but that doesn’t mean that it compromises in terms of performance. This laptop is supported by the 8th Gen Intel Core (u5-8250U) processor that is quad core and it even supports multi-tasking through its 8GB RAM. The integrated Intel’s UHD 620 graphics card performs well while handling casual gaming and programming. If you wish to use a badass computer with regards to its performance and portability, the Dell XPS 13 is the best one. This laptop is a 13 inch one and it is even lighter and smaller in size than the Apple MacBook Air. The touchscreen display and the design which is made of carbon-fiber play a role in making it extremely light. For the students who have taken majors in Computer Science or IT, this 2.9 pounds heavy laptop makes their ideal choice. This laptop hosts an Intel i7 kaby lake CPU and HD Graphics 620 which makes it the best one for graphics programmers and game developers. Whether it’s gaming or programming, the Acer Aspire E15 is touted to be one all-rounder laptop which has the capability of handling everything that you want it to perform. In 2017 it was the best-selling laptop for programmers and coder students and it is definitely going to work well in 2018 as well. Amazon had it as the top most laptop for students. Priced at $550, the Aspire E15 is powered by the 7th Gen Intel Core i5 dual core processor and has got a RAM of 8GB. This one stays unbeatable as compared to other laptops due to the powerful specifications which are best for coding and programming. For the Objective C Coders and Swift lovers, the Apple MacBook Pro is definitely the best laptop for coders and programmers especially when you wish to make games and apps for Mac OS and iOS. This one too is powered with the help of kaby lake i7 processor that is quad core and also supports a 16 GB RAM. All combined together, it has enough output to fire up the code editors, the local servers and Safari browsers with 20 tabs. Doesn’t that sound impressive enough? So, if you’re a programmer or you’re an entrepreneur with coding in mind, what are you waiting for? Check your pockets and make the best decision on choosing the best laptop for 2018. Select anyone from the above mentioned list.